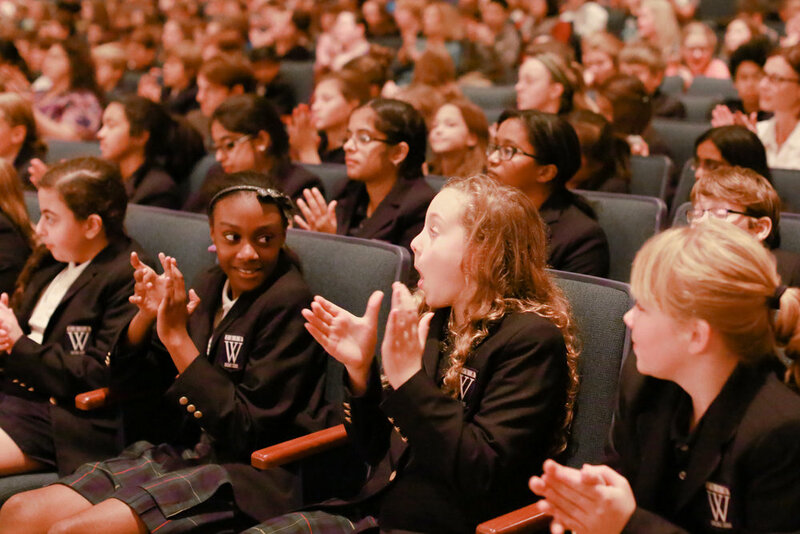 Help us continue to bring live classical music to thousands of students each year. With 2019 comes a brand new fundraising campaign: Music in Every School. Our goal for 2019 is to provide over 15,000 students in the Lehigh Valley and Southeastern PA with an interactive, comprehensive and live music education program. Oftentimes, the school music programs are the first to lose funding - when looking for something to cut, some administrations think eliminating music classes will have a minimal effect on students - but they’re wrong. Studies have proven, time and time again, that music education is extremely important for all children and can lead to better brain development, facilitates learning other subjects, increases in human connection, and provides stress relief. As music is removed from schools, children will no longer receive these benefits unless they enroll in private lessons, which is much too expensive for many families to afford. Our mission is to make music education accessible to students in all schools. We want to introduce students from all backgrounds to the world of arts and classical music with the hope of inspiring them to pick up an instrument, sing in the choir, take up dancing, or simply empower them to imagine their own potential. Over the next few weeks we will be sharing with you why this mission is so important to us as well as ways you can help us and your community reach our goal. Each year, thousands of students are able to experience the joy of live Classical music performed by the Pennsylvania Philharmonic. We thank you on their behalf for introducing music into their lives. Your support makes what we do possible. Many employers will offer a matching contribution. Check with your company about making your gift go even further. Consider becoming a sustaining member by making a small recurring monthly gift of $10, $15, $25 or more to help fund our educational programs throughout the year. To make a contribution by check, please make it payable to PA Philharmonic and mail it to Pennsylvania Philharmonic, P.O. Box 162, Ardmore PA 19003. Or you can call with your credit card information to 610-401-3650. The Pennsylvania Philharmonic is a registerd 501(c)(3) non-profit. New districts added each year!